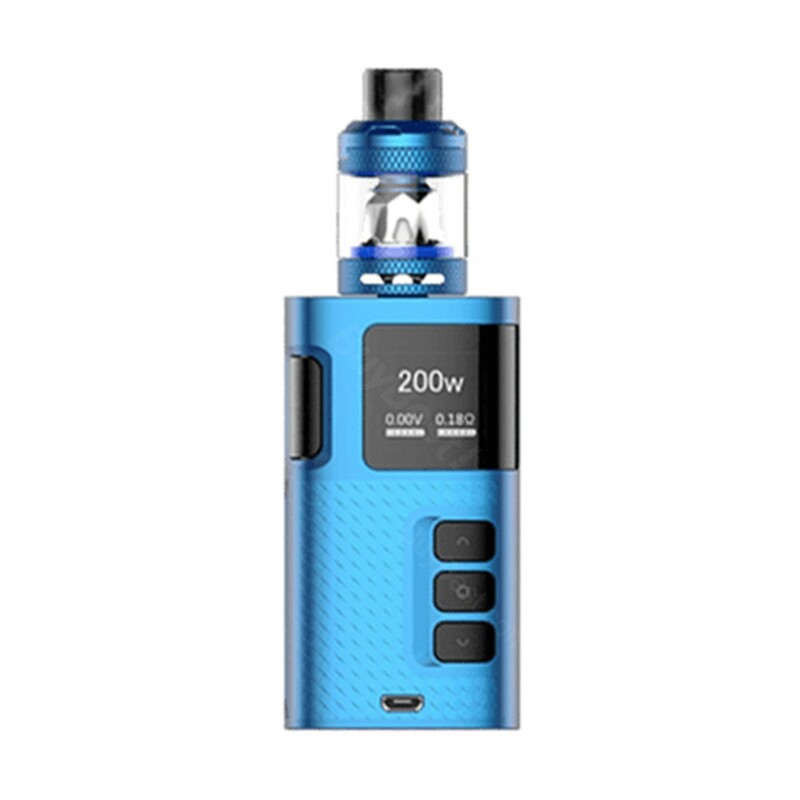 Ripple 200W Stater Kit is a new compact kit released by Kangertech, which consists of Ripple 200W box mod and 3.5mL Ripple Tank. Powered by dual 18650 batteries, Ripple Kit can fire up to max 200W max output. It features unique custom modes includes Beginner/Intermediate/Expert, which can satisfy different customer need. Ripple 200W Stater Kit is a new compact kit released by Kangertech, which consists of Ripple 200W box mod and 3.5mL Ripple Tank. Powered by dual 18650 batteries, Ripple Kit can fire up to max 200W max output. It features unique custom modes includes Beginner/Intermediate/Expert, which can satisfy different customers' need. The integrated 0.18ohm NR Mesh coil will produce huge clouds and intense flavor. What's more, it adopts slide-to-open top filling system, making it easy to fill e-juice. The 810 drip drip, bulb glass tube together with other accessories will bring convenience for your vaping. Just get Ripple 200W Stater Kit and enjoy vaping! • 3 month warranty for RIPPLE Mod.